A few weeks ago a friend of mine text me to ask what deodorant I use. She knows I'm committed to cleaning up the personal care products my family and I use and she needed a recommendation for a good underarm agent. Unfortunately, I couldn't help her much, as I myself am still searching for the perfect deodorant. Safe deodorant is a regular conversation between my girlfriends and I. It comes up at least once a month and we all exchange notes on the latest products tried and results of each. We have yet to discover an absolute winner....or we'll think we find one only to have it fail on us a few months later. Why all the interest in deodorant? I image it's because it's an everyday essential (for most of us) and a personal care product that's gotten a lot of attention for it's possible link to breast cancer (among other diseases). Deodorant is a personal care product design to cover-up and/or lesson the smell of under arm sweat. Antiperspirant is design to do both - hid smell and actually stop the body from sweating. The latest statistics state that 1 in 8 women will develop invasive breast cancer in her lifetime. One in Eight. These stats are terribly upsetting. (source: Cancer Treatment Centers of American and WebMD) As a woman, and mother to a daughter, I want to do everything I can to lessen my chances of diagnoses of this terrible disease. 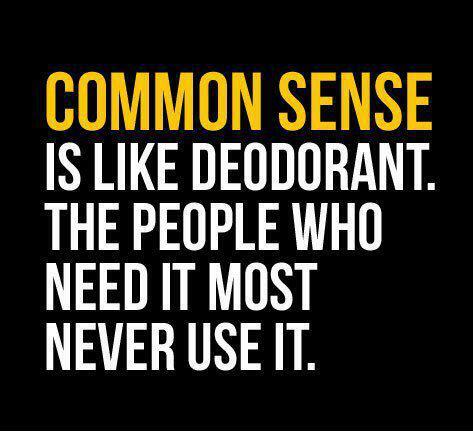 Which means I need safe deodorant. The verdict is still out on antiperspirant and deodorant as a whole. According to cancer.gov more information is still needed. Which, in my skeptical mind, translates too....we have information to say it's not safe but we aren't ready to scare the public yet. The National Cancer Institute says, in a nutshell, we have scientific studies that say aluminum in antiperspirant is linked to higher rates of breast cancer (particular in young girls...these are our daughters!) and we have scientific studies that say it isn't linked to breast cancer. I don't know about you but while the jury is still out, I am going to be playing it safe. Why wouldn't I? There's too much at stake. So...where to start? First off, I recommend saying good-bye to antiperspirants forever. Sweat is good. 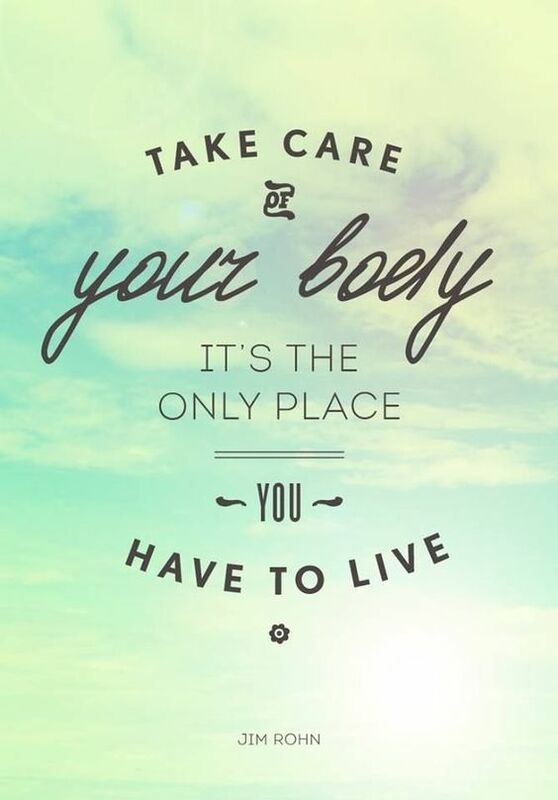 It's healthy for our body to sweat. 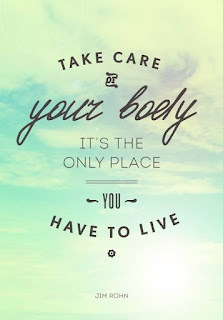 It's our natural way of eliminating toxins. Next, experiment until you find the prefect deodorant that masks your smells while keeping your body safe...and then share your finding with the rest of us! My mom, the original natural-path (she had me taking bee pollen for allergies 20 years go) gave me The Crystal to try as a teen. I didn't love it back then (and my friends thought it was beyond bizarre), but I'm considering giving it another go. For a long while I used LaVanila. It gets a rating of 4 out of 10 on EWG (environmental working group) which isn't great but I think it's because some of the ingredients used for fragrance have a high allergy potential (but are not the mystifying "fragrance" that's undiscernible and terrible for you). I loved it for a long time, but it unfortunately stopped working for me...maybe my body chemistry got used to it? Currently I am using a deodorant by Jason that frankly doesn't work...which means I'm dipping into that emergency stick too often. This is why I need your help? What do you use? Does it work? A somewhat weekly/bi-weekly (whatever my insane schedule will allow) series about ingredients found in beauty products, cosmetics, and household products. Today I'm looking at Resorcinol. What Is It: A crystalline compound originally obtained from galbanum resin, used in the production of dyes, resins, and cosmetics. Why Do We Want to be Careful: The Enviromental Working Group gives Resorcinol a safety rating of 8 out of 10 (10 being very unsafe). It is linked to endocrine disruption (hormone disruption) and can disrupt thyroid hormone synthesis. It is know to irritate skin, eyes, and lungs. Resorcinol is also linked to organ system toxicity. In My Words: We should all avoid resorcinol as much as possible. If you can't give up your hair dye (like me) then stretch out appointments to lower exposure. 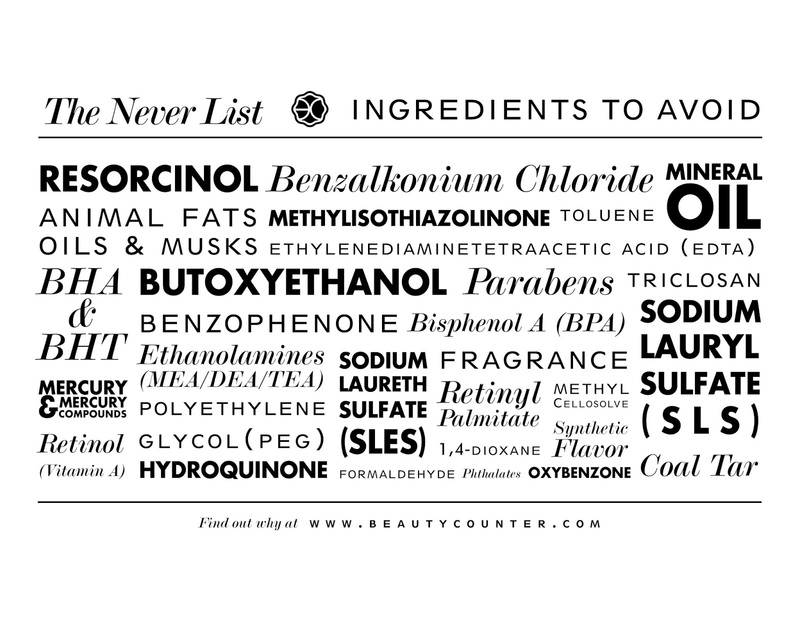 And make sure that you're using safe products elsewhere. If you dye from home chose a safe dye (there are options). Also, be sure to avoid resorcinol if you have hormone problems and/or infertility. Also, avoid while pregnant. A Few Interesting Facts: Japan has restricted the sue of resorcinol in all cosmetics. The EU limits concentrations of resorcinol and requires warning labels. In the USA the federal government limits exposure in the workplace but there is no regulation of resorcinol in personal care products. What You Should Do: Limit hair dye and facial bleaching/peels. Use safe acne/eczema fighting products. Madison-Reed home hair dye uses EU standards. And Henna Hair Dye is a plant-based dye. Beautycounter's Baby Balm is great for eczema on kids and adults. As well as having a variety of great products for acne depending on your skin type. Welcome to my new weekly series - What Is It? Wednesday. Each week we will explore harmful and potentially harmful ingredients that are found throughout our homes in the things we use everyday: hand soap, shampoo, laundry detergent, candles, lipstick and more. Today I am focusing on Benzalkonium Chloride*. What is it: A disinfectant used as a preservative. Also a surfactant: a subastance that tends to reduce the surface tension of a liquid in which it is dissolved. In My Words: Basically it's a compound used as a preservative, emulsifier, foaming agent, and wetting agent. Algaecides for cleaning moss, lichen, algae etc. from pools, roof tiles, etc. Why Do We Want To Be Careful: The Environmental Working Group rates Benzalkonium Chloride as a moderate Health Concern. There is strong evidence that Benzalkonium Chloride is toxic for those with respiratory illness and/or allergies. It is also known to contribute to sever skin and eye irritation. It also is linked with immunotoxicity (adverse effects on the functioning of the immune system as the result of exposure to chemical substances). . In My Words: Avoid this as much as possible if you have a history of asthma, allergies and/or any other respiratory disease. Also avoid if you have sensitive skin and/or eczema. It can be overwhelming to read about ingredients such as Benzalkonium Chloride. Most of us are busy and want to make safe choices for our families but don't have time to carefully read labels. 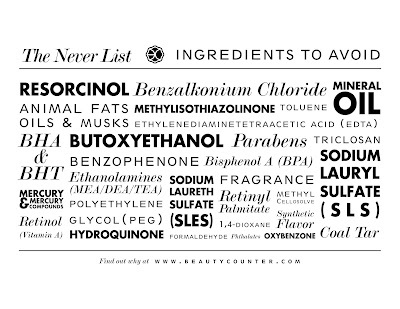 But with some research we can often find companies committed to truly producing safe, non-toxic products. Once we find these companies it's a relief to know that they are doing the hard work and research for us. So don't get overwhelmed. Find the companies that are committed to keeping you and your family safe and then stick with them. I've missed blogging despite the fact I really don't have much time to miss it. 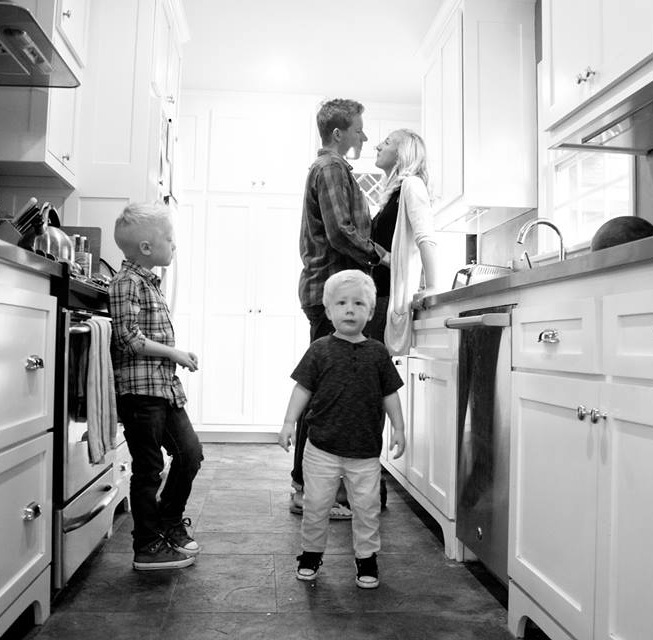 Juggling three kids this past year has been full of life lessons. It's taken my an entire year to figure out one of the biggest lessons of them all -- s l o w d o w n.
We needed to slow down. We needed to before Norah came home, but once she got here we really needed to. And yet we didn't. Not until recently. Most of December we stayed in; we made less plans; were less social. This change reaped big results with our kids. Winter, colder, darker days definitely helped us reign back and enjoy more time home. We've been having more family dinners home around our table rather than out at restaurants or with friends. We've been puling down the red "You Are Special Today" plate for smaller, but still worthwhile achievements, such as: Finishing Your First Series of Chapter Books (Landon, Diary of a Wimpy Kid books) and Kicking Your Nail Biting Habit (Parker). We've had more Saturdays home. Filled with lazy mornings, walks around the neighborhood, and "gasp" boredom (which we've found is quickly cured with chores). Honestly my wanderlust isn't tamed. And the other day RJ sent me out to get my antsy-ness satisfied before I brought down the mood in the entire house. (I visited my favorite shop and had a drink with a friend). It can be hard for me to slow down. But the positive affect it's having on my family is more than worth it. Landon is going to be 8 years old in a few months. He's almost halfway done. Halfway grown. This time is fleeting. I want to soak it up. 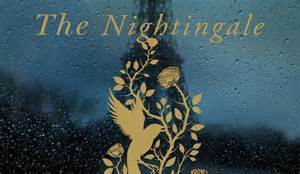 I kicked off my 2016 reading goals with The Nightingale by Kristin Hannah. By all accounts this should have been a book I loved: historical fiction, World War II, France, romance, sisterhood, solid plot, good action, and complete characters. All of my favorite elements rolled into a well written, well executive book. So why aren't I raving? Well, it's not Hannah's fault whatsoever, she wrote a fantastic novel, but for the first time ever I just wasn't in the mood for World War II. Normally WWII novels are my favorite. It's a time in history where the author doesn't have to make up anything to include all the elements of an excellent read. Horror, loss, sacrifice, love, endurance, good versus evil, it's all already there. All the author must do is convey the story with masterly woven prose. Hannah did that in The Nightingale. I just wasn't up to stomaching it. I've been analyzing why I experienced this unexpected distaste for what is normally my favorite genre of literature. I think it's because I was reading it right almost immediately after getting hoem with Norah. Our first few weeks home were very emotional and very difficult. During my rare moments alone the last thing I needed or wanted was more emotional drama. And WWII novels are chalked full of emotions and drama! Therefore, I will not be giving a real review on this book. By all accounts it is a very good book. The characters are believable and relatable. The historical facts seems to add up accurately. The prose is well done and the plot substantial and continually forward moving. The end wraps up a bit too neatly but my good-news-loving heart enjoyed it. Definitely worth the read...if you aren't in the middle of an emotional crisis yourself! Our time in Soddo was probably the hardest (for me) and the absolute best. We stayed on the hospital compound where our friends are missionaries. The compound is quite nice. The homes are big, modern and very comfortable. There is a playground for the kids complete with a trampoline, as well as a huge grassy field for soccer, vegetable and fruit gardens everywhere and gorgeous tropical flowers around every bend. The boys were thrilled to have friends to play with every day. We had a house to ourselves and even a serentina (house helper) to aid with dishes, cooking and daily chores. Our friends taught us to roast our own coffee beans and a local boy brought milk every morning in a used water bottle (we learned to pasteurize the milk ourselves). Parenting got real with Norah during our time in Soddo. Our darling girl not only had a new family to get adjusted too, in a new environment, but she came down with the chicken pox. Since both our missionary friends have young babies who had not get gotten pox vaccines (and could get seriously ill if they caught then pox) Norah and I got quarantined to the house. The days I thought I would be chatting with my friends, exploring the small town, taking a day drive to visit hippos, playing with my daughter in the sunshine and one the swings were instead spend nursing a very upset toddler. Without going into detail I'll just share that those were tough days. Super tough days. Emotionally, mentally and spiritually exhausting. However, I can see now why the Lord allowed Norah to get the chicken pox. It forced a quicker bonding between the two of us. Being sick makes you dependent upon another in an intimate way. Being a caregiver makes you love even when one acts unlovable (she was always loveable, of course, just not feeling well and letting us know it.) Plus, the Lord in his kindness, allow those chicken pox to wait to reveal themselves until we got to Soddo where we were comfortable, loved by friends, and where the boys were completely entertained so that I could focus on Norah. Thankfully we did also manage to do some of those tihngs I had envisioned. Norah got well enough for a long walk through the town in the ergo. I was able to tour the hospital during one of her naps. RJ and Landon still went on their overnight camp trip thanks to a laptop and a bunch of my friends movies to help entertain Parker. And after a few housebound days my friend Kavi insistned I sneak out with her for coffee and a donut. She reminded me that even if Norah cries in RJ's arms the entire time (which she did) he loves her and she is safe. I don't think a coffee and donut have ever tasted so good. Nor has a chat with a girlfriend been so encouraging.